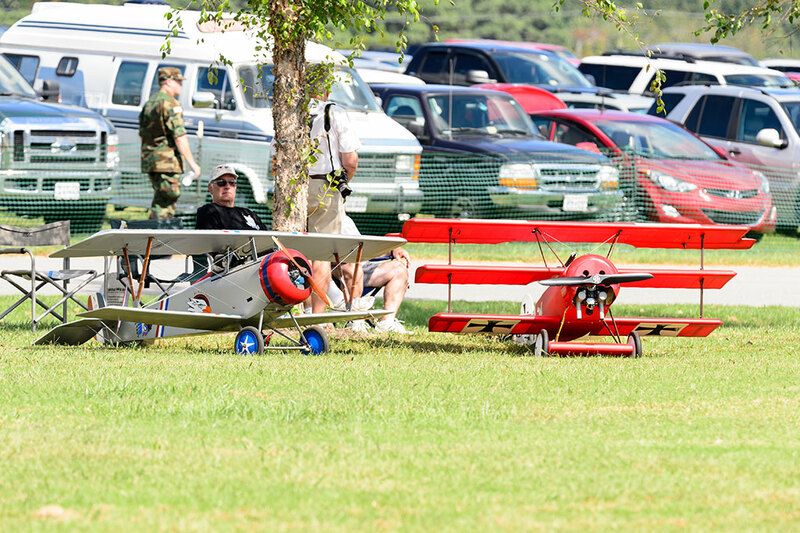 The gang from Bubba's Garage arrived just a little after the gates opened. 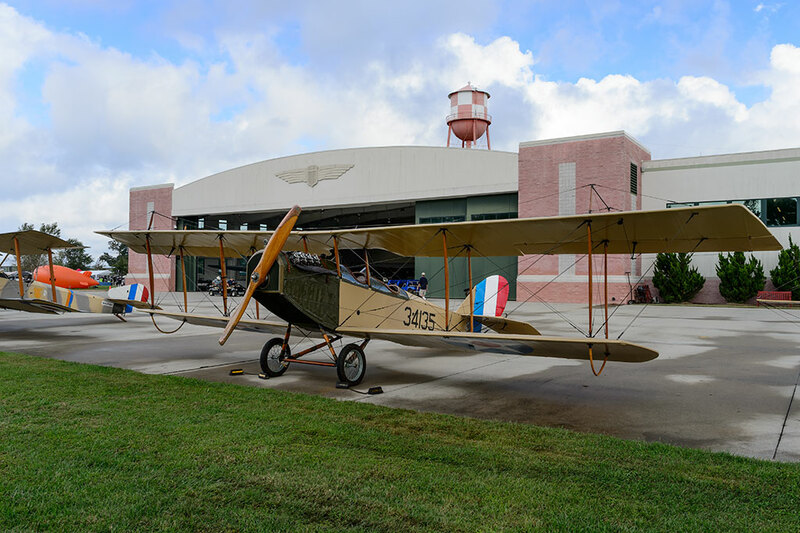 This gave us plenty of time to check out the flight line and explore the museum grounds. 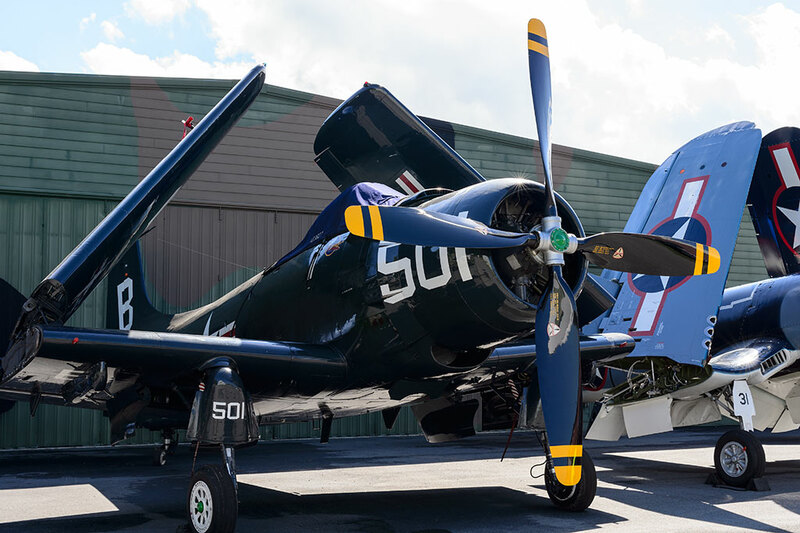 The collection of aircraft that would be flying was impressive. 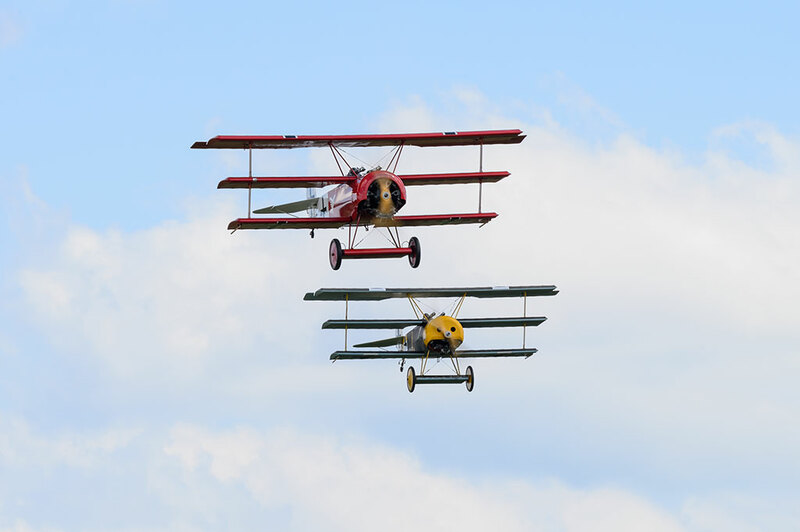 All of the flying examples are replicas except for one. 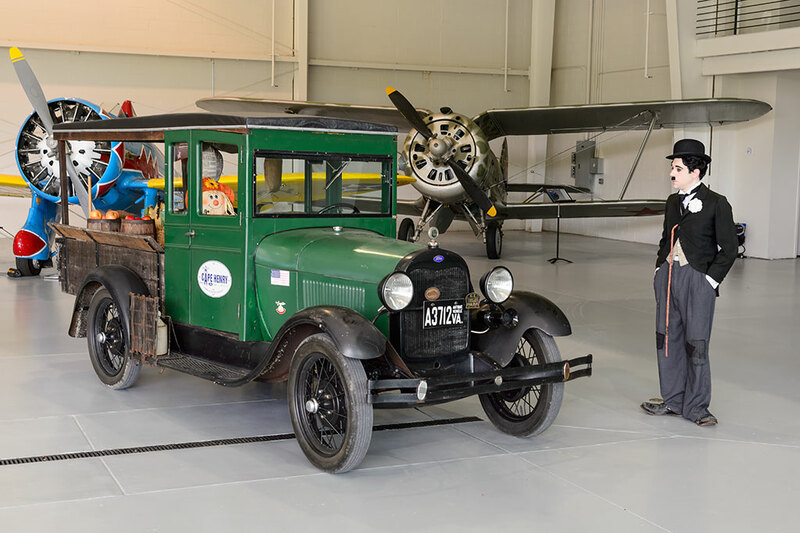 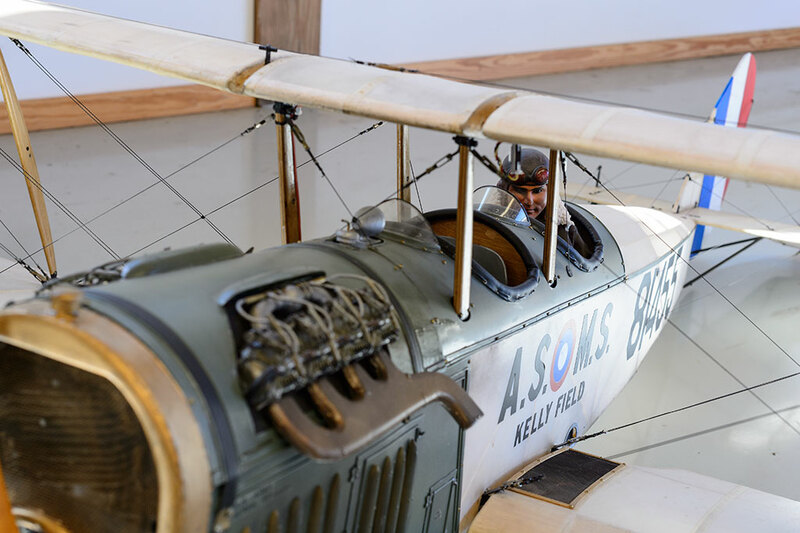 The museum's Curtiss JN-40 Jenny was originally built on May 8, 1918 and used by the U.S. Army Signal Corps in Lonoke, Arkansas. 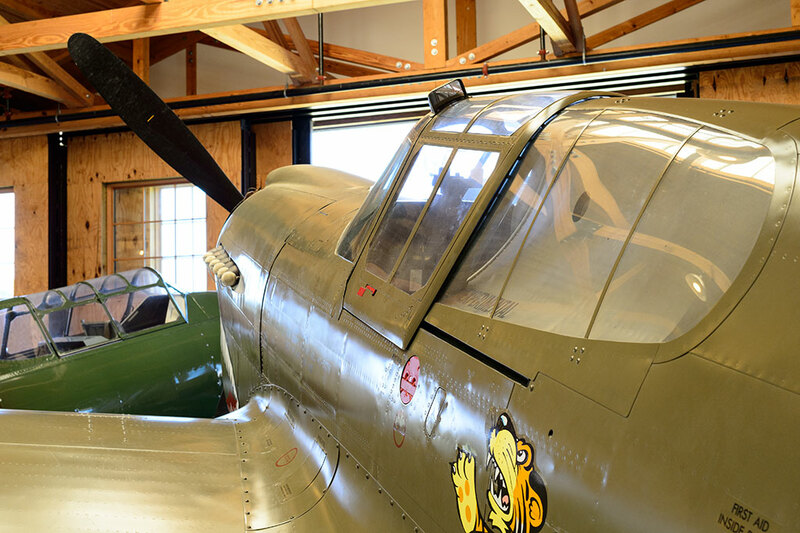 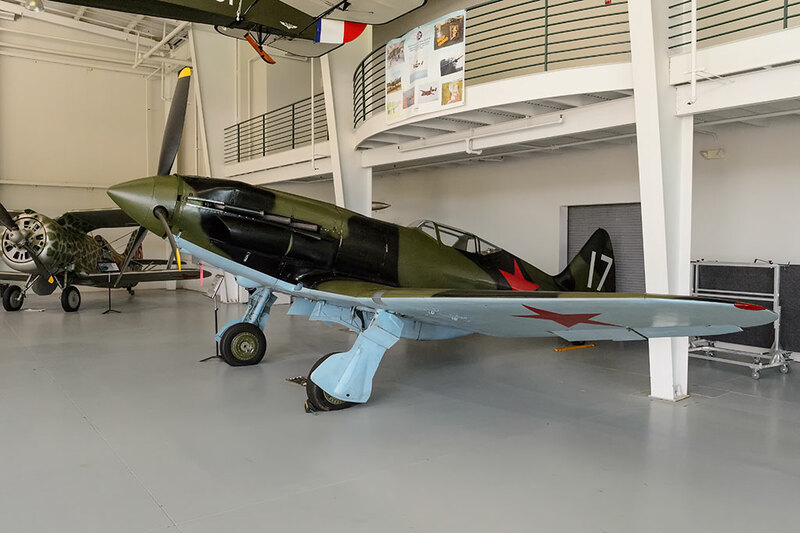 Purchased from the Arkansas Aviation Historical Society in 2011, it was sent to Argentina for restoration and returned to the Military Aviation Museum in the Spring of 2014. 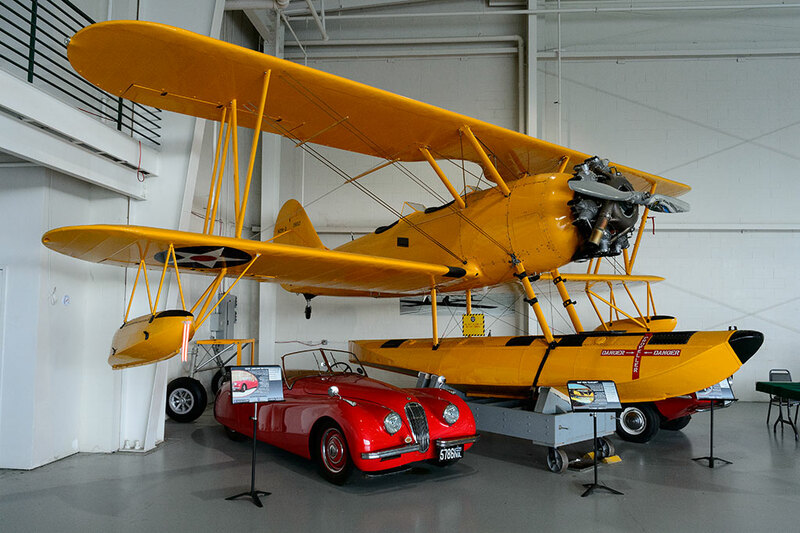 Before the flight portion of the air show started we walked the various buildings of the museum to check out their collection of other birds. 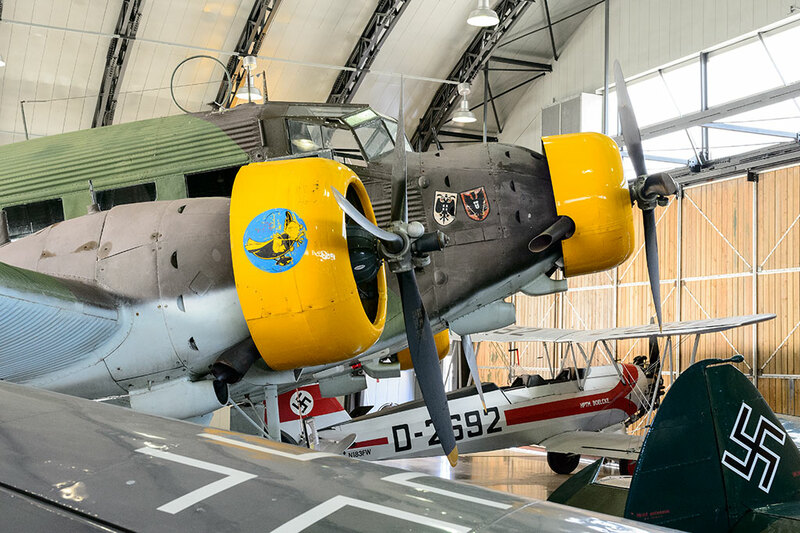 A few of these included: 1935 NAF N3N "Canary", the world's only remaining flying Mig-3, 1949 AD-4 "Skyraider", Junkers Ju 52. 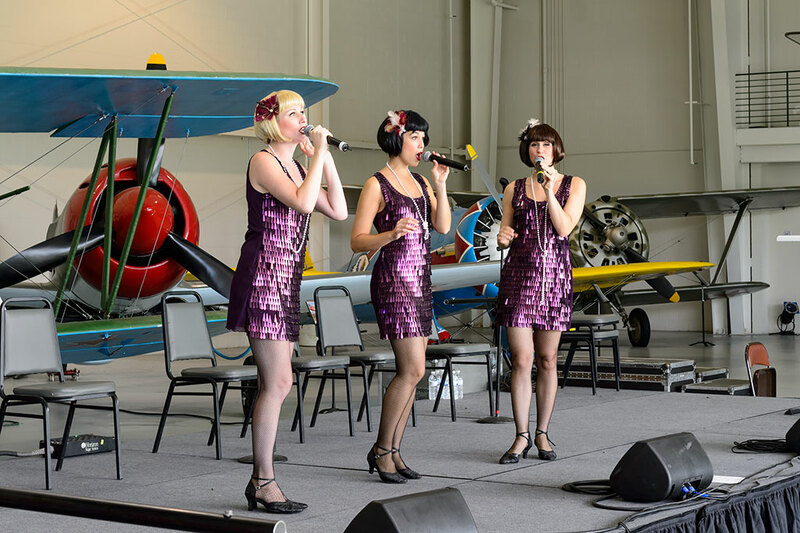 WWI era entertainment during the air show was provided by greats such as Damian Blake as Charlie Chaplin and the Manhattan Dolls. 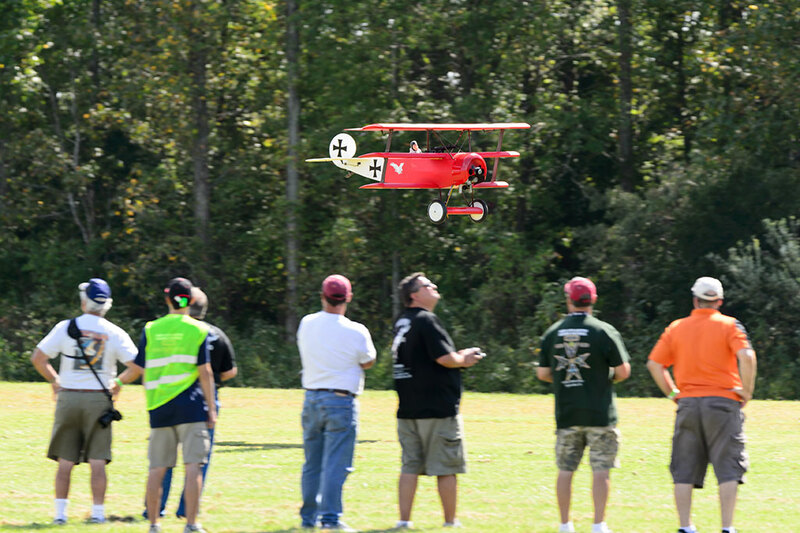 The Mid-Atlantic WWI Dawn Patrol Radio Control Plane Air Show was also going on at the same time. 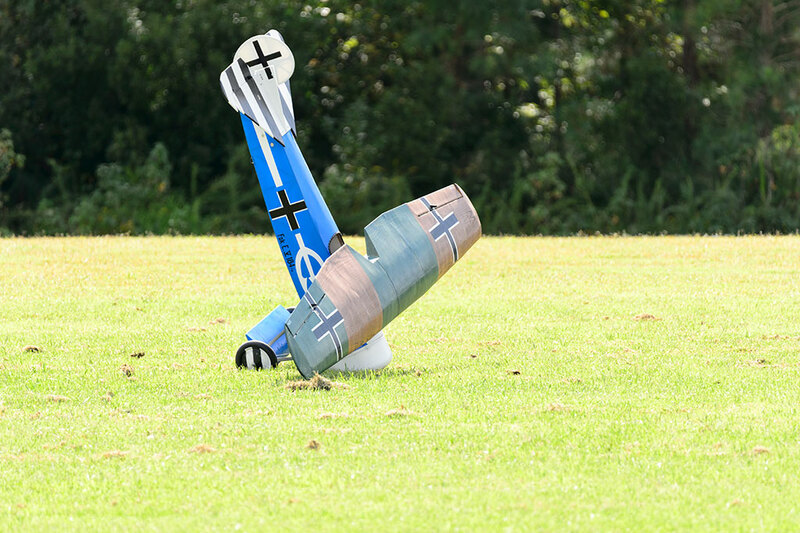 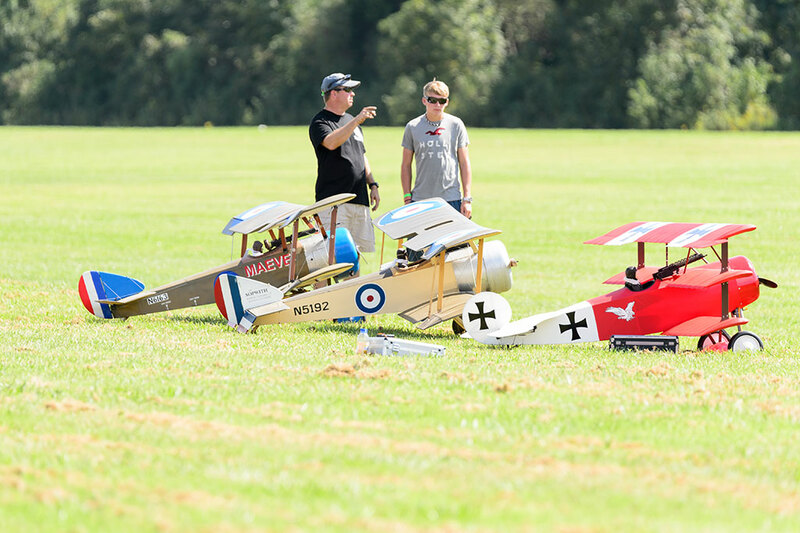 If you like large scale RC Planes then this would put a huge grin on your face. 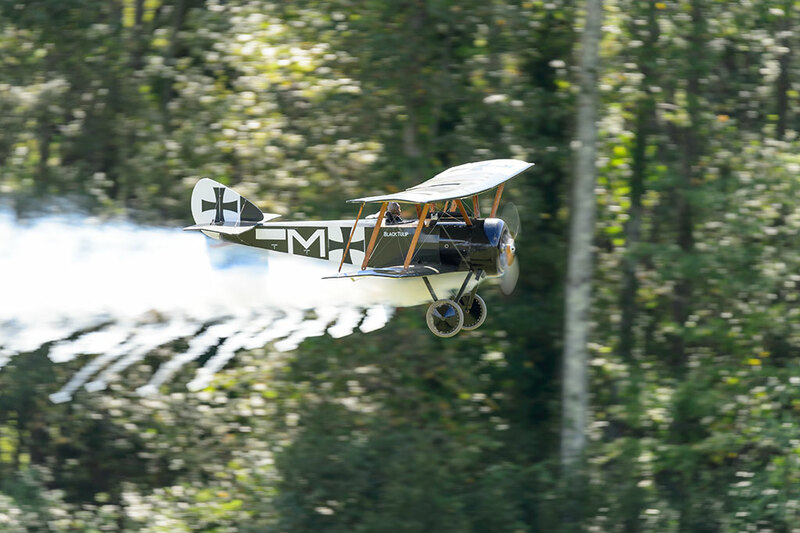 Many of these models were simply spectacular. 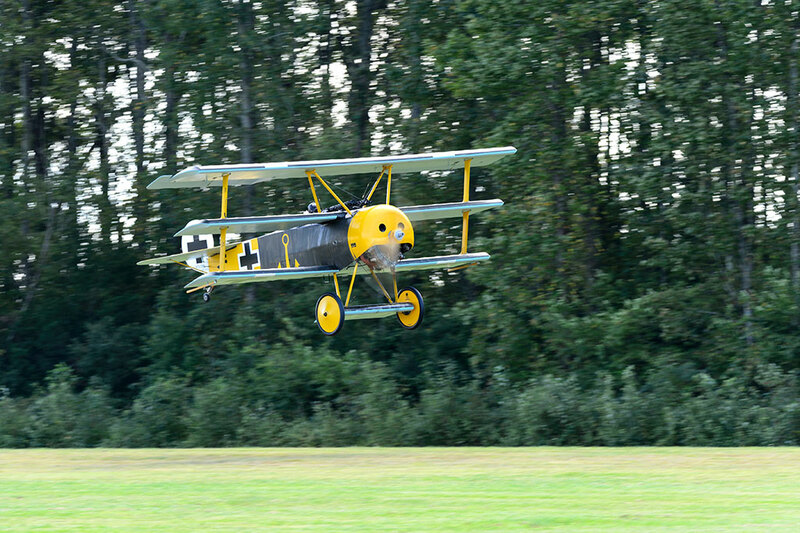 The real reason we made the roadtrip to see the larger aircraft in the main air show. 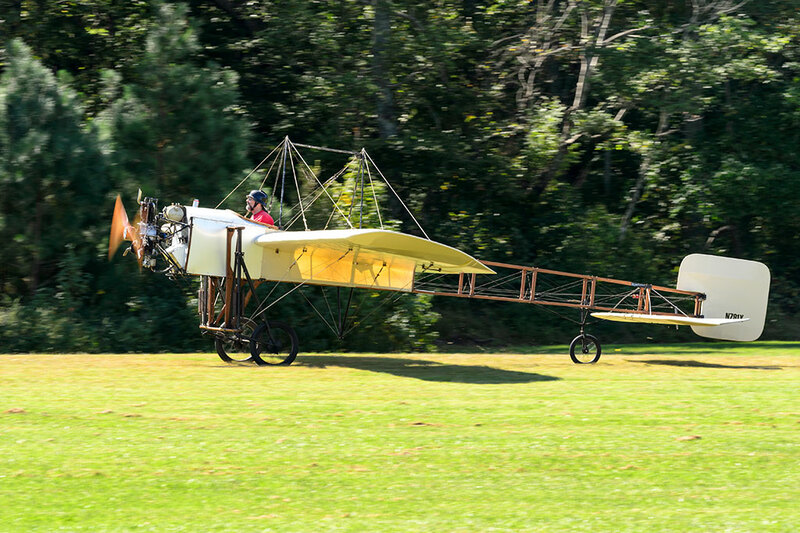 The oldest design represented in the air was a 1909 Bleriot XI, light monoplane. 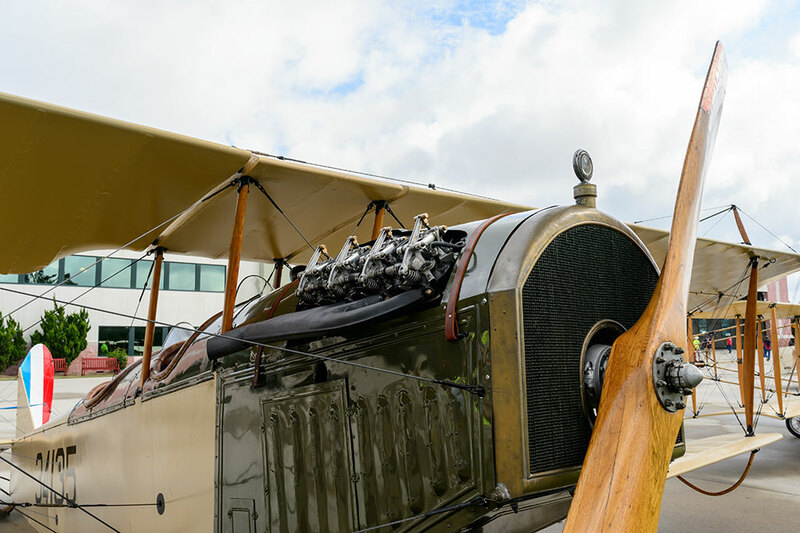 While the construction may have been new the aircraft uses an original 1910 Anzani engine. 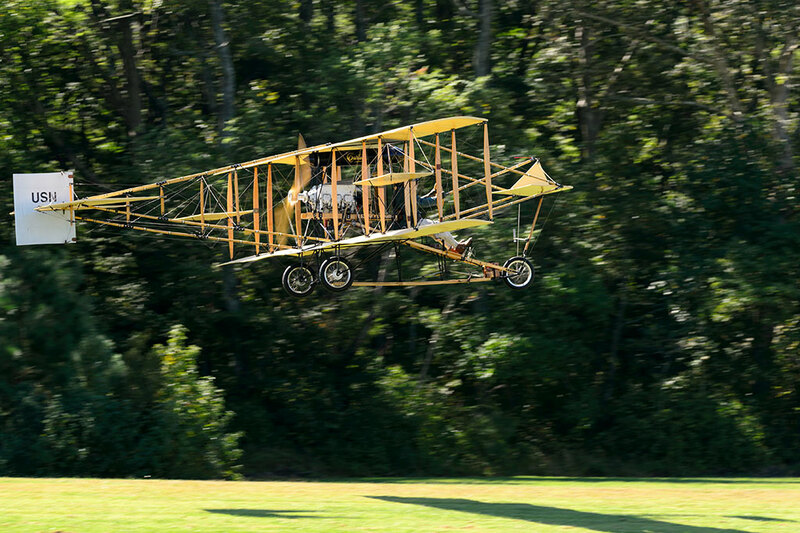 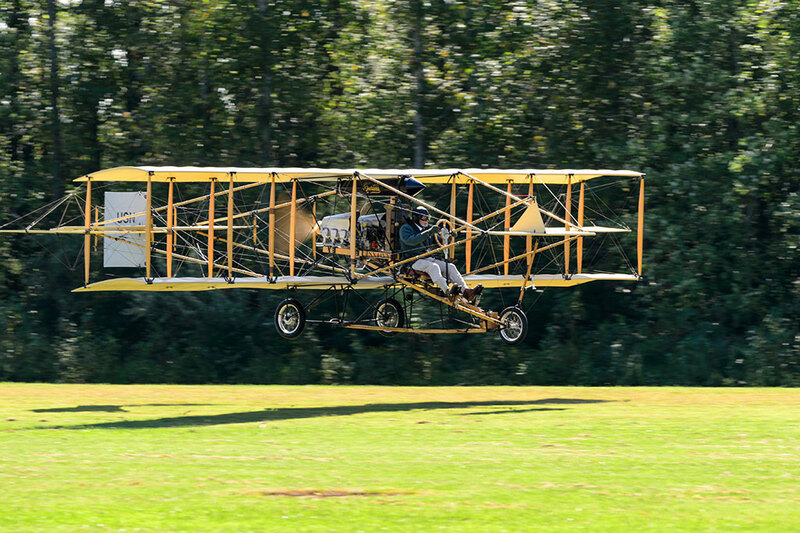 How about a flying replica of a 1911 Curtiss Model D? 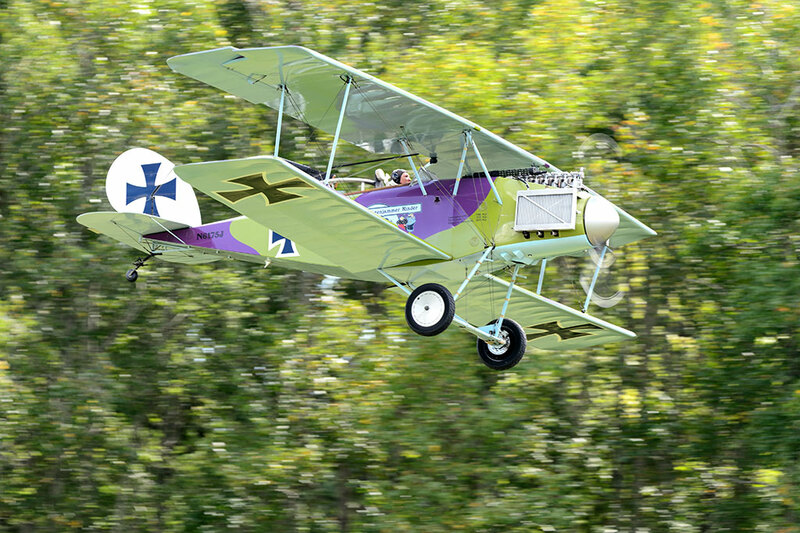 This Curtis Pusher was acquired by the Military Aviation Museum in 2012. 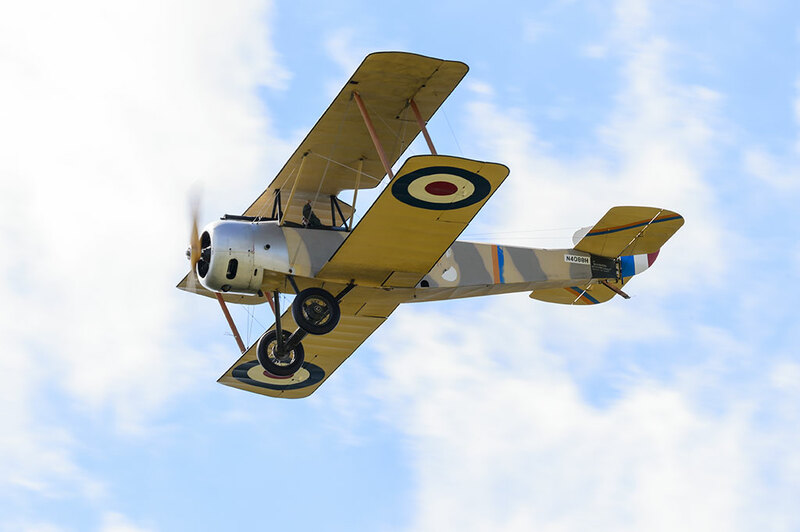 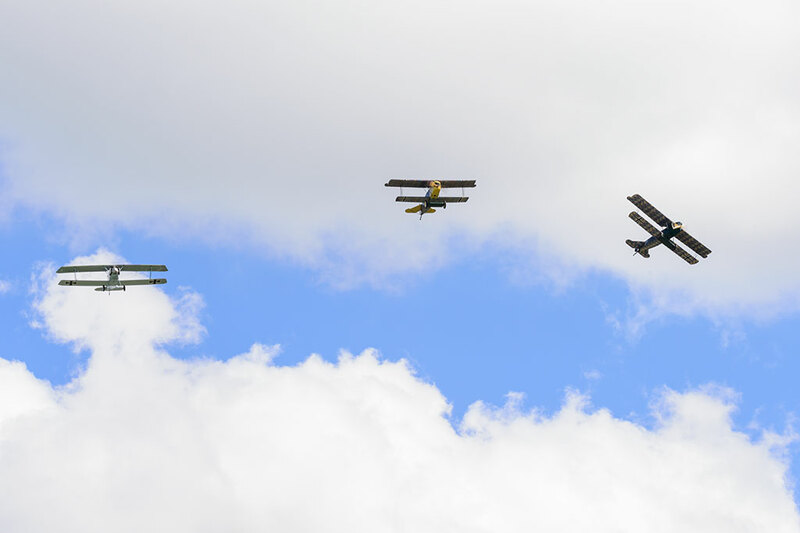 Many biplanes took to the skies including: a 1916 Nieuport 17, a 1916 Sopwith 1 1/2 Strutter, a 1918 Fokker C.I, and a 1918 Halberstadt CL.IV. 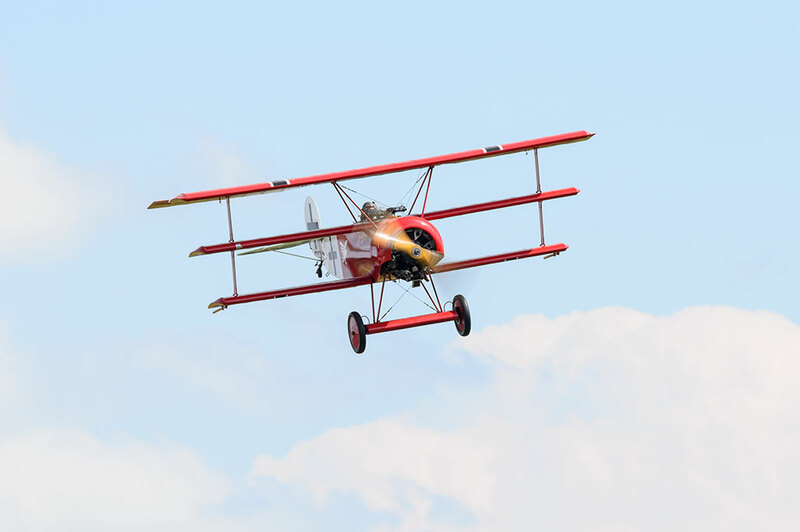 You just have to love the sight of a triplane in the air. 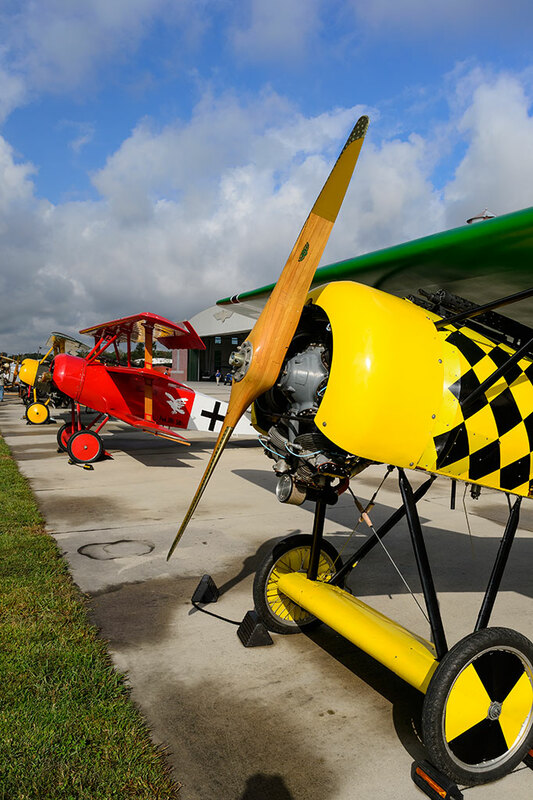 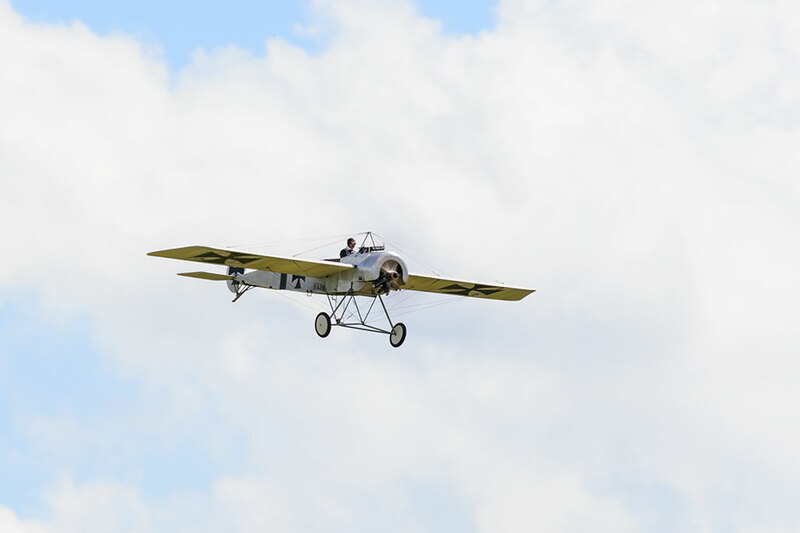 The Military Aviation Museum has three Fokker Dr.I aircraft which are beautiful to see. 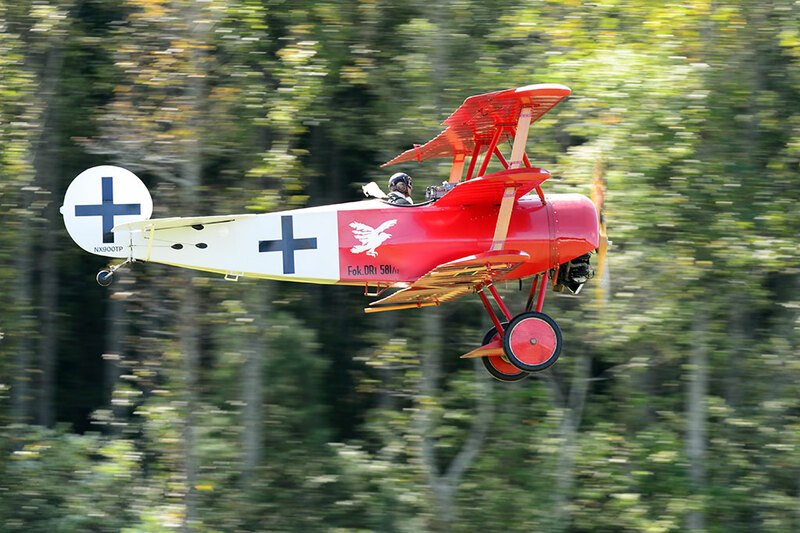 The two that were flying this day were the red and white paint scheme depicting Lt. August Raben triplane of the Raven Jasta and the yellow and brown of Lt. Rudolf Limke of Jasta 27. 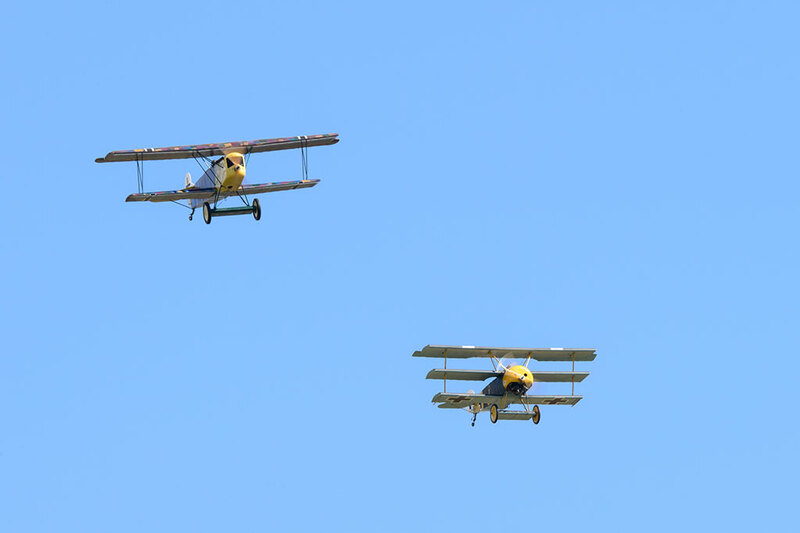 Where else are you going to get to see biplanes and triplanes flying in formation? 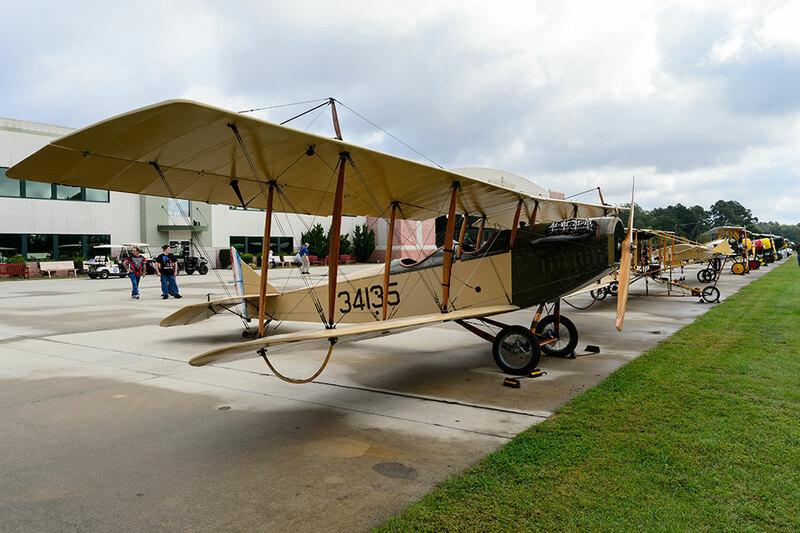 We absolutely enjoyed our visit to the Military Aviation Museum to watch the Biplanes and Triplanes Air Show. 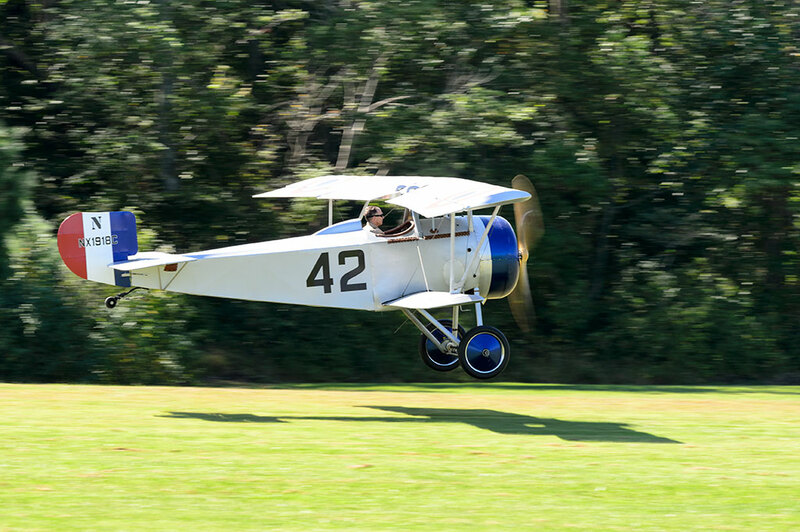 There are plenty more photos to see over on our photo site. 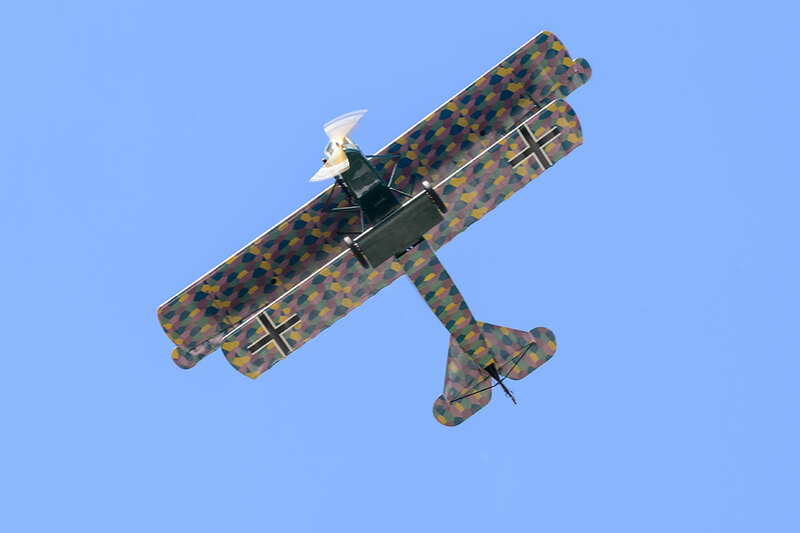 Be sure to check them out at BG Customs Phtography.